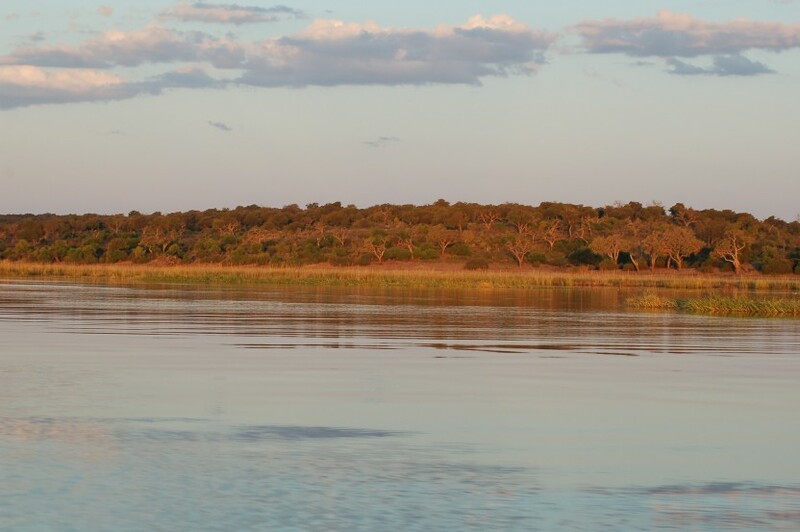 – The first glimpse of the Chobe River – deep and dazzling in the sandy terrain – is always breathtaking. 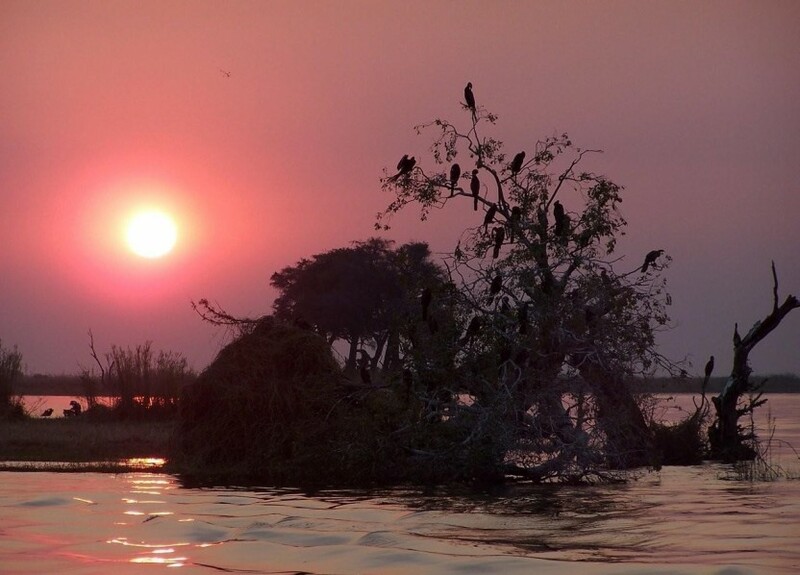 Undoubtedly one of Africa’s most beautiful rivers, the Chobe supports a diversity and concentration of wildlife unparalleled anywhere else in the country. Established in 1968, the park covers approximately 11700 km2, encompassing floodplains, swamps and woodland. The Chobe River forms its northern boundary. The most accessible and frequently visited of Botswana’s big game country, the Chobe Riverfront is famous for its large herds of elephants and Cape Buffalo, which during the dry winter months converge upon the river to drink. The sites we stay in here are completely undeveloped areas in the ‘bush’. Everything must be taken in to these sites – even water and nothing may be left behind, so they remain pristine. They offer an untouched wilderness experience, all sites are within a few hundred metres from the Chobe River, and in the dry season you can watch stunning sunsets with a backdrop of elephants and buffalo a few minutes away from our tented camp. We will have a 3 hour boat cruise into the Park from Kasane on the 8th September 2015. On the 9th September we drive south for 5 hours to Savuti, where we have a lovely site next to the Savuti Channel. 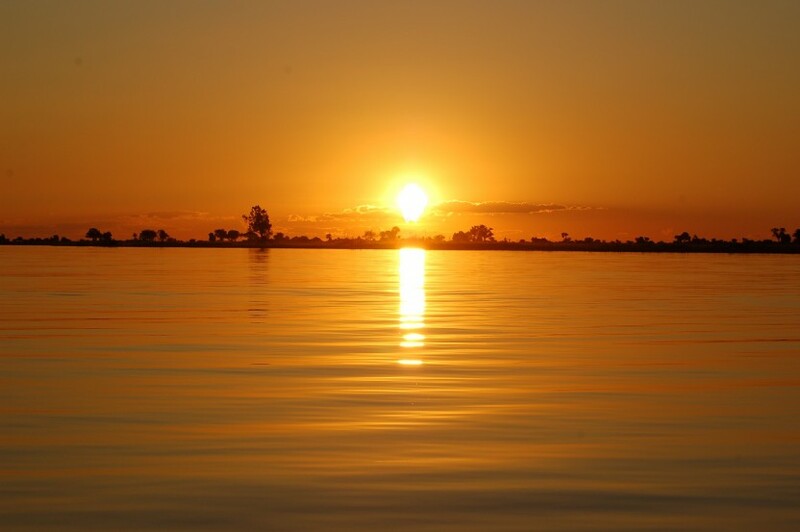 Savuti – The Savuti Channel in northern Botswana is a famous waterway in a thrilling state of flux. For a quarter of a century, the Savuti Channel was dry, creating wide-open grassland, home to both quantities and varieties of wildlife and a legendary predator’s enclave. In 2008, the waters returned, and abundant game has congregated and adapted in its wake. Now the Marsh is once again turning into a wetland paradise. 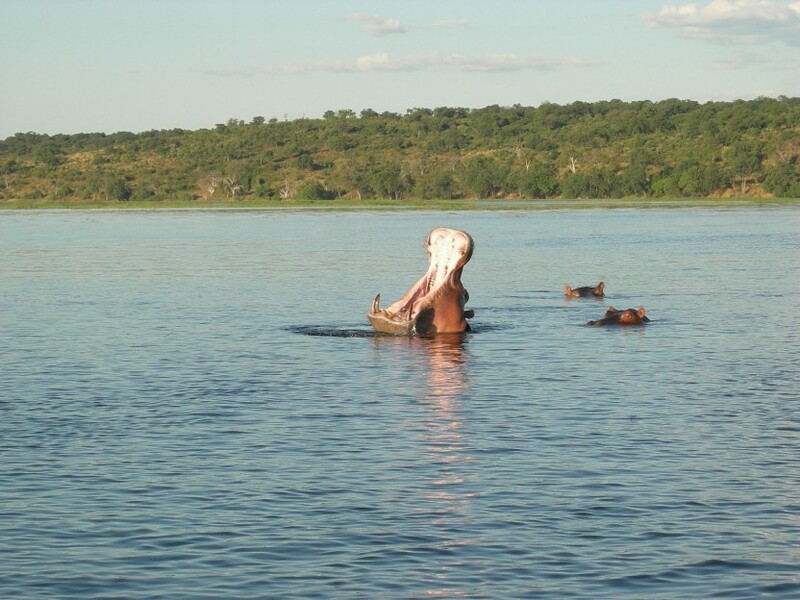 The Savute Channel once more became a deep, clear waterway harbouring hippo and aquatic life with myriad varieties of waterbirds. Wildlife, from plains game to a plethora of predators, has had to adapt to a new source of water and all the opportunities and menaces it has brought with it. – Contained within an area of approximately 3900 km2, here land and Delta meet to create an exceedingly picturesque preserve of floodplains – either seasonally or perennially wet, waterways, lagoons, pools, pans, grasslands and riparian, riverine and mophane forests. It is the only Game Reserve inside the RAMSA listed Okavango Delta. We are first staying at a site between Khwai and Hippo Pools called Samahundu which will give us a chance to explore the Khwai River area extensively before we move south to the beautiful Xini Lagoon area for a further 3 nights. We will go on a drive through the Black Pools area of Moremi whilst here and will hope to spot cats! On the 18th September we will have an early morning drive before breakfast and driving to Maun in time for your flight out.